Having spent most of his life growing up in Spring/The Woodlands, Chris has witnessed firsthand the growth which has occurred in the surrounding area and the ever changing landscape it has produced. As a licensed agent, real estate investor and home owner in this community, Chris diligently keeps a close eye on the local housing market and understands the complexity of buying and selling in this setting. He also understands that it’s more than simply a piece of property with a price tag. It’s often a home where your children once colored all over the freshly painted walls or the place where you plan to settle down and start a family. Whatever the case may be Chris believes each of his clients deserve a pleasant experience and is eager to build a relationship that continues on for years to come. Chris has a very interesting and diverse background which has equipped him with the skills and talents necessary for exceeding his client’s expectations. He began his career in the U.S. Navy where he spent 11 years on active duty learning the value of hard work, discipline, patriotism and integrity. All of which he claims have greatly attributed to the person he is today. His final assignment was with the White House where he earned an MBA while also traveling and working in an environment that demanded perfection. Following his honorable discharge from active duty, Chris’ technical knowledge, knack for arithmetic and meticulous attention to detail led him to a position as a systems engineer designing two-way radio communication systems. These days he focuses a great deal of effort on real estate but continues to find the time to serve his country as a Navy Reservist. Chris has no concept of putting anything less than 100% into everything he does yet manages to do so with an impressively calm demeanor and friendly attitude. "“My personal goal is to give each and every one of my clients the satisfaction they deserve." 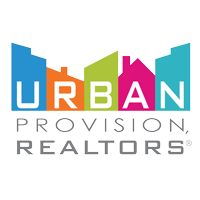 Christopher Preston with Urban Provision, REALTORS® is a real estate professional in TX. View Christopher Preston bio, Listings by Christopher Preston, Neighborhoods where Christopher Preston is active and more. You can contact Christopher Preston by phone, email or visit the website.